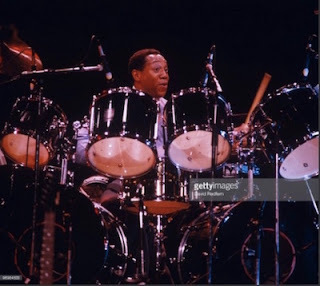 In 1991, drummer Billy Cobham became one the newly formed, Mapex Drum Company's best known endorsements and consultants, between his previous deal with Tama Drums, and before he subsequently signed with Yamaha. Cobham was soon seen playing Mapex kits on tour with a variety of live acts: With Peter Gabriel, Terje Rypdal, Wayne Krantz and many others. A 1994 customized, Emerald Green Mapex kit that he once used with Gabriel was recently seen on eBay for a whopping $10,000, and listed a “Certificate of Authenticity” signed by Cobham himself. The CoA listed each drum, and even included a previously sold, nearly identical, Cherry Red Mapex kit that Cobham would also use whenever he needed to leap-frog from venue to venue to save time setting up his monster kit. That maple kit was a bit too pricey for me to say the least, and to be honest, I was never fond of how those vintage Mapex "low mass" drum lug and rod systems really looked. 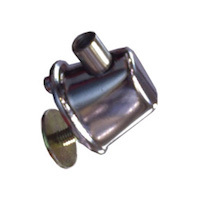 Nevertheless, Mapex had revolutionized the world of drums in the early '90s by coming up with a “low mass, single point” tom lug to minimize the vibrations that typical drum lugs and mounts employed. 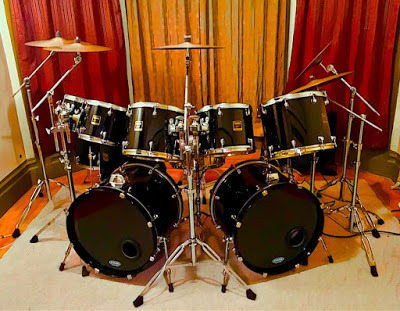 Mapex would ultimately eliminate the rods and change all of their drums with only the low mass lugs; a trend that even Yamaha, Ayotte and others use to this day. 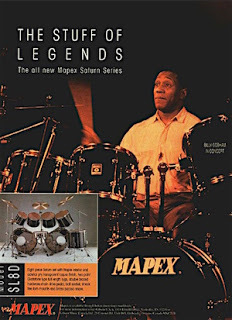 Cobham played maple drums from Mapex’ “celestial” series; Saturn, Orion, etc. Later, Mapex would add the Mars, Venus, and Voyager series. Cobham’s kit featured 5 power rack toms: 15”, 14”, 13”, 12” and 10”; 3 snare drums: 14” x 10”, 13” x 4”, 14” x 7”; 3 bass drums: 24", 22” and 20”, and two floor toms: 16” and 18”. 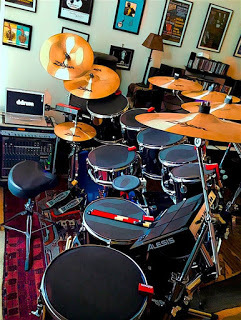 After years of setting up his rack toms traditionally high to low, Cobham continued to experiment with yet another approach during his tenure with Mapex. With Tama, Cobham added multiple snare drums, triple bass drums, octobans, a gong drum and even a modular drum rack system. However it was while drumming with Mapex that Cobham began arranging his toms in what he called his “tonal array”. 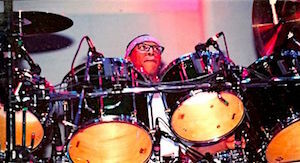 From his left to his right, Cobham ordered his rack toms in an alternating sizes; 15”, 13”, 14”, 12” and 10”, or 15”, 13”, 14” and 12”. Cobham’s open-handed patterns, and his desire to constantly evolve and grow, also challenged him to avoid the cliched high-to-low drum fills we’d all become accustomed to. Cobham has kept that unique approach to this day, using a 15”, 13”, 14”, 12” and 10” tom set up with a 16” and 18”, and occasionally adding a 12” snare, and 8” tom. My Ddrum kit also took some customizing and assembly, due to some of the sizes needed, so I was no stranger to what lay ahead. 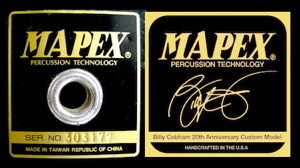 For the badges, I looked at the Mapex kits Cobham used; They had the classic Mapex 2” x 2”, black and gold, vented badges, seen on most of the surviving photos of those kits from that era, with the exception of his custom “U.S. Maple” kit he used with Peter Gabriel. That brass badge was 3” x 1.5”, however my Mapex kit wasn’t all maple and I didn’t find that badge all that attractive. Based on the aforementioned black and gold badge, and the Saturn and Mars badges, I decided to use that design, without the vent, featuring Cobham’s Yamaha Signature and the Mapex “Handcrafted in the U.S.A.” slogan. After a little bit of Photoshop, an order was placed to the folks at PlaqueMaker, and the new badge would be made. Next, it was time to assemble the rest of the drums I needed for the project. Since I decided that I would configure the Mapex kit just like Cobham’s modern drum set-up, I needed to do a little more research. To do that, I found his old profile on a Yamaha website, as well as his new one on the current Tama website. I also found Cobham’s equipment riders for his 2008 Spectrum 40 band, his European live bands, and his solo performances. While my replica Yamaha Cobham Signature snare being built, I seemed to recall that Cobham didn’t always use it live; (He doesn’t use it with Tama), and in researching his riders, I noticed that he always requested the now classic Yamaha 14” x 6.5”, SD-4106 brass snare. 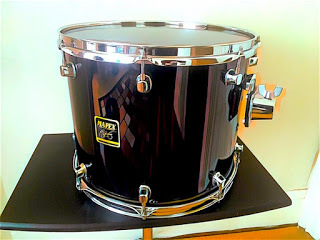 Well, those snares are are discontinued and hard to find, plus, this needed to be a Mapex. 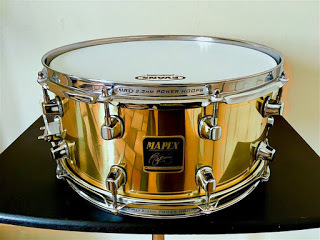 Now, which brass Mapex snare did Cobham use back in the day? Turns out he used an assortment of them, and in a wide variety of sizes. Mapex made a monstrous, 14” x 8” “Brass Master” snare that Cobham used quite a bit, before moving to smaller sizes. An 8” snare is too much for me, so I needed to find a brass snare comparable to the Yamaha. Next, I delicately removed all of the various Mapex badges from the drums and cleaned away the residue to make way for the new, custom badges; Silver badge for the chrome snare, and gold for the brass snare and the rest of the drums. It was time to affix the new badges, new Evans drumheads, and Yamaha TH904A tom mounts for the cymbal stands. The vintage Mapex "Billy Cobham 20th Anniversary Custom Kit" was now complete!